Charwhite Cosmetics believes that a natural smile is the most beautiful thing. Even more beautiful than clothes or make-up. A radiant smile with pearly white teeth is the only accessory we need. A smile is the most beautiful thing you can wear. Stop worrying about your clothes and focus on brushing your teeth. When your teeth are looked after and white, you will show them off more often. And therefore, your beautiful smile will appear more and more. The Charwhite tooth powder is loved by all those who know it because the powder has an ultra-fine grain, does not contain any chemicals and has never been tested on animals. Activated Charcoal is a porous material that removes discoloration by cleaning the teeth. It binds itself to any dirt that may cause or has caused discoloration. When spitting out the Charwhite whilst brushing your teeth, these materials are also removed. 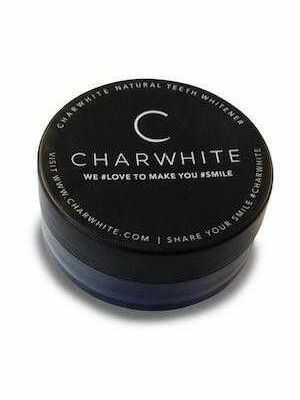 As a result, Charwhite will whiten your teeth. This clay has an effect similar to the active charcoal. According to Charwhite Cosmetics, it is also supposed to strengthen and mineralise the tooth enamel. Orange Peel Powder also has a whitening effect on the teeth. Good to know is that the orange peel powder in Charwhite is organic and does not contain citric acid. Mint is used in mouth hygiene products because of its antibacterial effect and disinfecting properties.  These properties are also found in the organic mint in Charwhite. Useful fact: In contrast to regular toothpastes and mouth washes with mint, Charwhite does not taste like mint. It is odourless and flavourless.